Our lab is dedicated to creatively engineering bio-inspired materials that can communicate with living cells, tissues and organisms. We are motivated by real world applications that improve the quality of lives for all humans. The materials we develop are integrated into biosensors, implantable devices, and tissue engineered constructs. Applications include novel research tools for neuroscience and cancer research, type 1 diabetes, space biology, and the brain computer interface. We are located in the Bindley Bioscience Center and the Birck Nanotechnology Center at Purdue University. Professor Rickus was selected as a "Favorite Faculty" and named the "Most Distinguished Faculty for Research" by the undergraduate student body. The research award is given to a faculty member whose research has influenced a student's passion within that field of study. Read more in The Exponent. Ph.D. student, Marisol Herrera-Perez, receives the 2015 Outstanding Graduate Teaching Assistant award for the College of Agriculture. Marisol is currently a candidate for the Purdue University Graduate School Excellence in Teaching Award. Professor Rickus receives 2015 College of Engineering Faculty Award of Excellence for Advising. 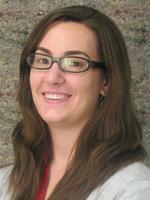 Ph.D. student, Jen Kahn, to receive the Wadsworth Mentoring Award from Purdue Women in Engineering Programs (WIEP). Dr. Rickus and collaborators, Dr. David Janes and Dr. Ashraf Alam were awarded a grant from the National Science Foundation Nano-Biosensing Program. Our NASA funded biosensor system known as SporeSat was launched into orbit from aboard a SpaceX Falcon 9 rocket.